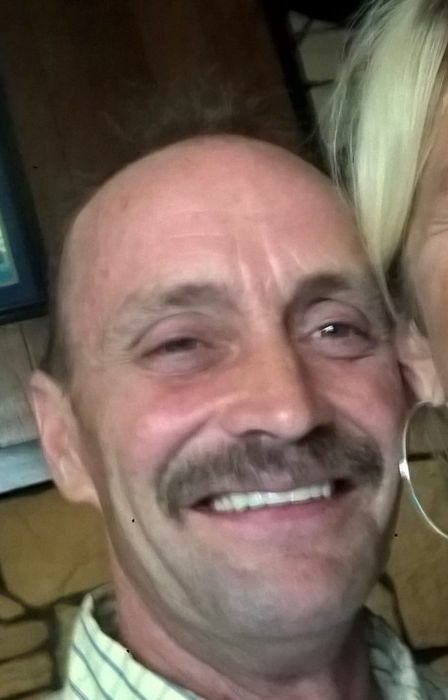 Auburn – Daniel Joseph “Danny” Galligher, 54, of Auburn passed away Friday, February 1, 2019, at Parkview Regional Medical Center in Fort Wayne. Danny was born July 30, 1964, in Auburn. He was the youngest of seven children born to the late Donald W. and Patricia J. “Pat” (Cuney) Galligher. He worked for Indiana Anchor Bolt in Butler. Danny enjoyed riding his motorcycle and snowmobiling. Surviving are five siblings, David Galligher of Auburn, Jeffrey and Tina Galligher of Auburn, Gary Galligher of Waterloo, Cyndy and Kenney Middleton of Auburn, and Joni Galligher Neely of Martinsville; several nieces and nephews, and his significant other, Shannon Weilbaker Galligher of Garrett. He was preceded in death by his parents; two brothers, Jim Galligher and Donald W. Galligher Jr.; and a niece, Jenny Galligher. A memorial service will take place at 2 p.m. Friday at Feller and Clark Funeral Home, 1860 Center St., Auburn, with Father Timothy Wrozek officiating. Visitation will be from noon – 2 p.m. Friday prior to the service at the funeral home. Memorials may be directed to the Feller and Clark Funeral Home to help with expenses.